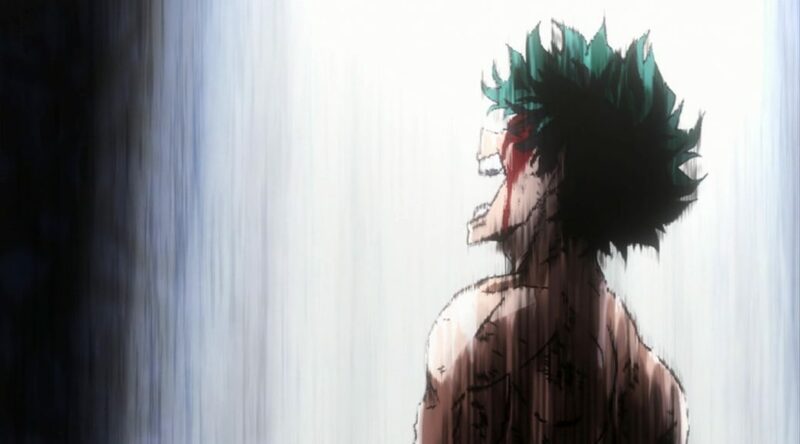 ─ What would under normal circumstances be a standard transitionary episode became a very special occasion for My Hero Academia, thanks to the effort of the whole team but in particular that of renowned director of Kyousogiga and Blood Blockade Battlefront Rie Matsumoto, who drew the storyboard. Her whereabouts were (and to a degree still are) a topic of much speculation due to her long absence from the industry right after putting together a big hit and being chosen by TOHO’s producer Genki Kawamura as one of the rising anime figures they want to bet on; although she briefly resurfaced with her energetic Blood Blockade Battlefront & Beyond ending, it’s no secret that she’s supposed to be making something much more significant… which judging by the vague comments of her trustworthy companion Yuki Hayashi, hasn’t exactly worked out as a project. 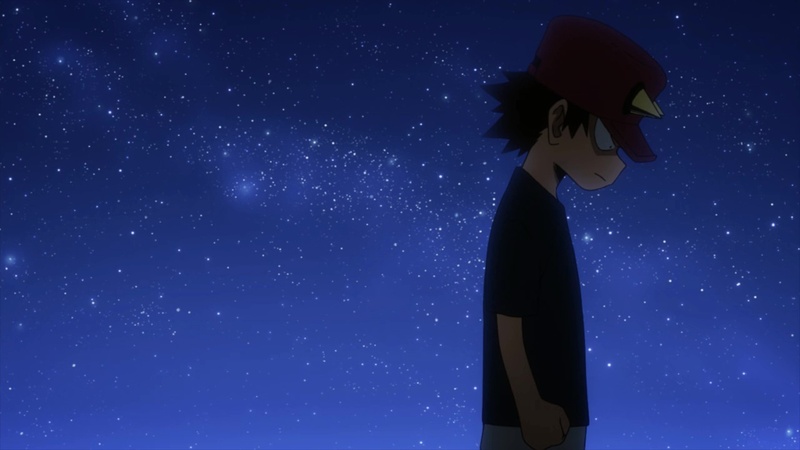 Whatever the future holds for them however, we’re now experiencing Matsumoto’s return to anime, albeit not in the way many of us expected. So rather than the rumored original animated feature she was meant to helm alongside Kawamura or an otherwise high-profile new TV series, she’s appearing on other TOHO titles like Karakai Jouzu no Takagi-san and now My Hero Academia, in a stealthy way – or perhaps not stealthy at all, since she’s simply dropped a character from 松本理恵 to become 松本理. I don’t want to make any definitive conclusions regarding the fate of her movie project quite yet, but it’s worth noting that at the moment she’s a bit of a rare case as a director who’s clearly tied to a distribution much more than with an animation studio. Even when it comes to this, she’s special. ─ Much like her pen name has dropped a kanji, there’s a part of Rie Matsumoto’s magic that inevitably gets lost in her current output. She isn’t the director of these episodes, let alone the shows as a whole, so she’s adapting to someone else’s framework without even being in the position to supervise the production of the episode. That said, her storyboards alone pack such a punch that she can casually turn non-climactic events into some of the most memorable moments within their series. From the first couple of cuts even the untrained eye could tell something was off, in the best of ways. 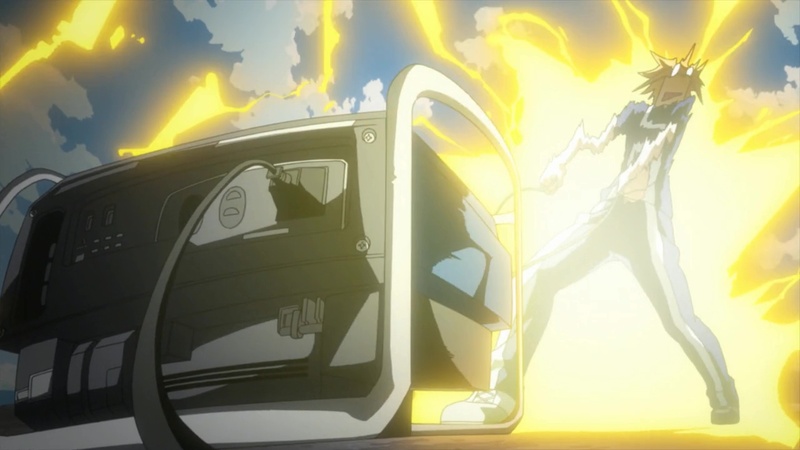 For a show that’s so faithful to the manga’s framing, Matsumoto took number of liberties adapting the material; there’s a significant number of difficult low-angle and high-angle cuts, minimalistic wide shots of characters in contrast against simple backdrops and deliberate paneling are just a portion of all the visual ideas that were present in this episode. 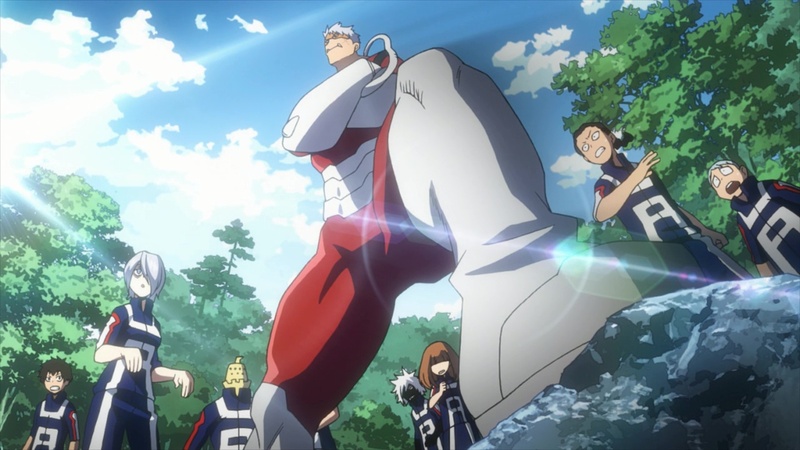 The almost exhaustingly energetic training sequence – a multiplanar series of gags cleverly tied together by Iida running around – was originally just a single manga page, and even during the most relaxing parts of the episode it felt like there was always something happening on the screen. Episode director Setsumu Dogawa understood the strengths of Matsumoto’s storyboard, carefully supervised the layouts and alongside series director Nagasaki watched over the tempo and comedic timing of the episode to do it justice. You can take as many screenshots of Matsumoto’s works as you want, but you won’t truly understand her genius until you see her work unfold. 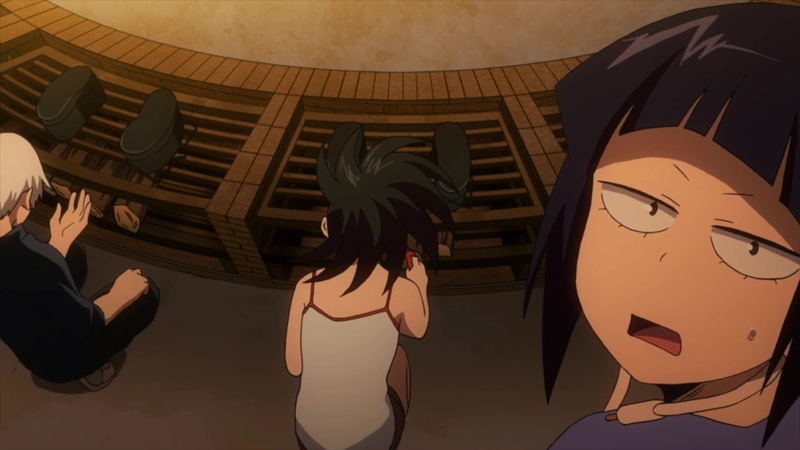 ─ The character art in this episode looked particularly polished, courtesy of chief supervisor Hitomi Odashima and the duo of young animation directors who worked under her: Yuka Shibata, recurring digital key animator on season 2 who debuted as supervisor here, and Minami Sakura, who did so on the previous season and has stuck around. 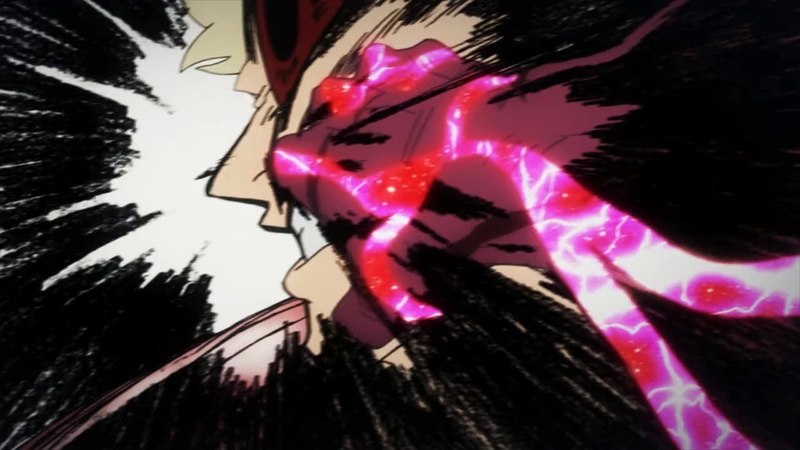 Big Bakugo fan Yuki Sato animated a significant portion of the aforementioned training scene and put her talent for effects animation to good use. Overall it’s no exaggeration to say that this episode was carried by various women in the production team, which is a very welcome change of pace as far as I’m concerned. 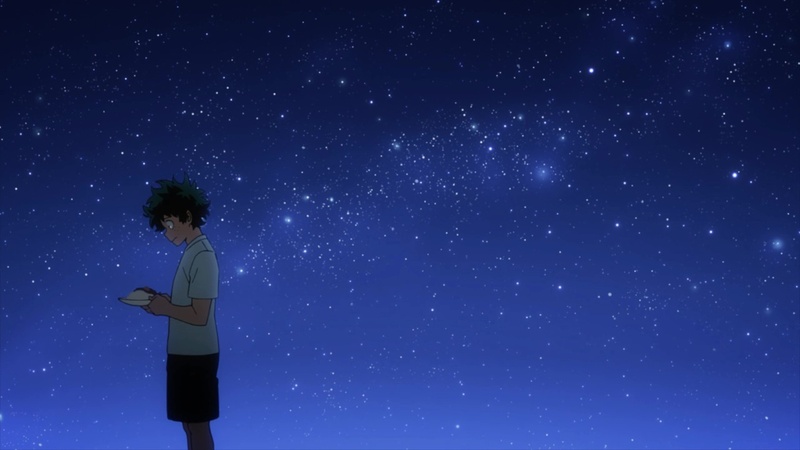 ─ Now this is a much more standard outing of My Hero Academia when compared to the episode preceding it, but don’t take that as criticism. 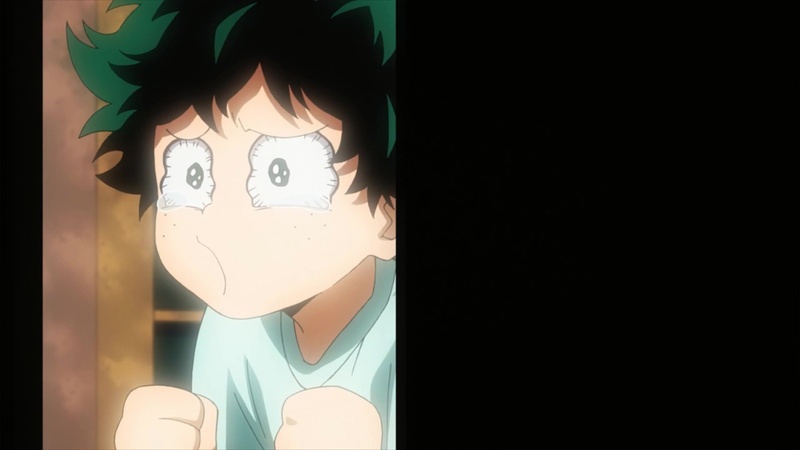 While on a craft level this is much more in line with the rest of the show, it’s precisely during emotional, tense moments like Deku’s final showdown with Muscular that it tends to flourish the most. 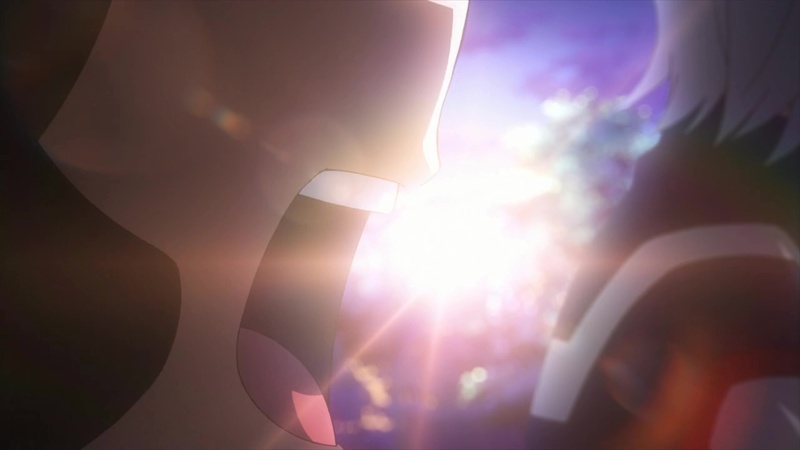 I wouldn’t hesitate to rank the final moments among the most memorable scenes in the series as a whole, even though the rest of episode lagged behind it qualitatively and despite Rie Matsumoto’s brief appearance having shown us what could have been. 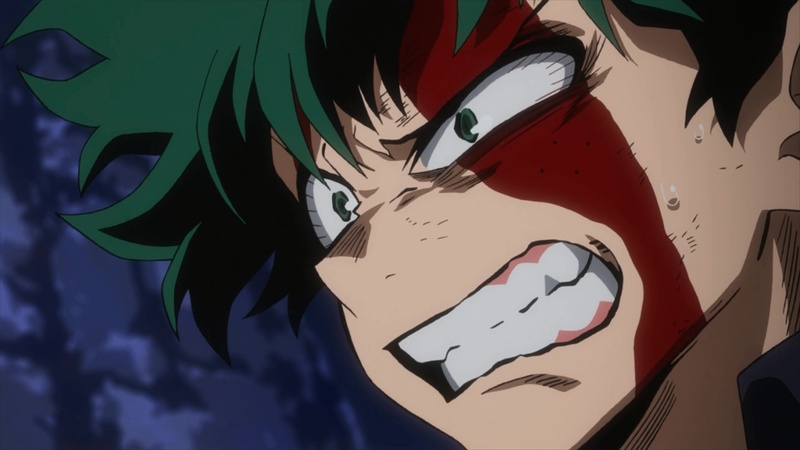 The series foundations are so strong that it can hit highs almost by pure inertia, and in this case it helped to have Daiki Yamashita’s unreal performance as Deku. 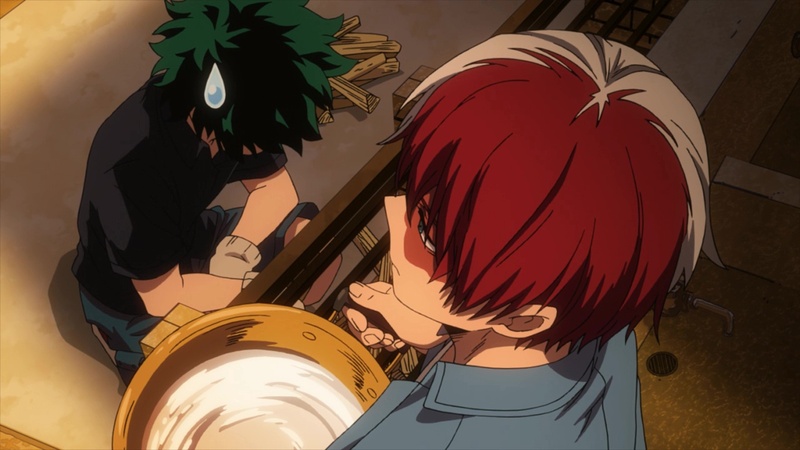 ─ The team formed by storyboard artist Michio Fukuda and animation directors Takahiro Komori and Takashi Mitani already brought us the first part of the Stain fight (episode 29), so it’s no big surprise that they worked well together once more. This time they were joined by seasoned veteran Shoji Ikeno as episode director, marking his first contribution to the franchise with a more than acceptable job. Even though it’s been less than a year since episode 29, Mitani has significantly evolved his practices, fully switching from drawing analog animation corrections to going digital. He’s the second supervisor in the team to make the switch, which showcases the industry’s slow but steady move towards digital pipelines, especially in projects involving animators in their 20-30s who tend to feel more comfortable like this to begin with. Leaving the behind the scenes details aside though, it’s undeniable that this episode was way less polished than the previous one, though I wouldn’t blame this on the artists and their methods so much as the fact that the animation on display here was much more demanding, opening up room for inconsistencies and weaker drawings. When it mattered the most the drawings were on-point and mimicked Yoshihiko Umakoshi’s distinctive style, so consider that just a small nitpick. ─ In the list of key animators we can find two names credited separately from the rest, an honorary position that’s usually reserved for key staff and animators who animated either large number of cuts or a very important scene. And that was the case with Sakiko Uda and Yuta Kiso, since they were the ones in charge of the aforementioned climactic fight between Deku and Muscular. 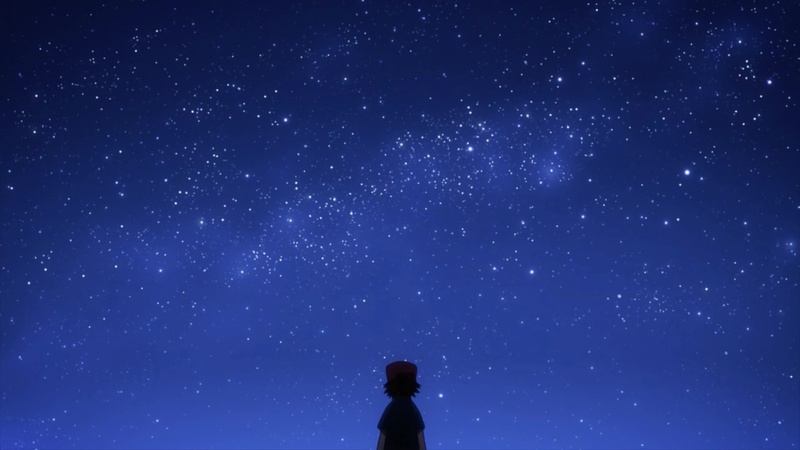 Uda is perhaps best known as a up-and-coming mecha animation star responsible for some of the most outstanding Gundam action scenes in recent years. 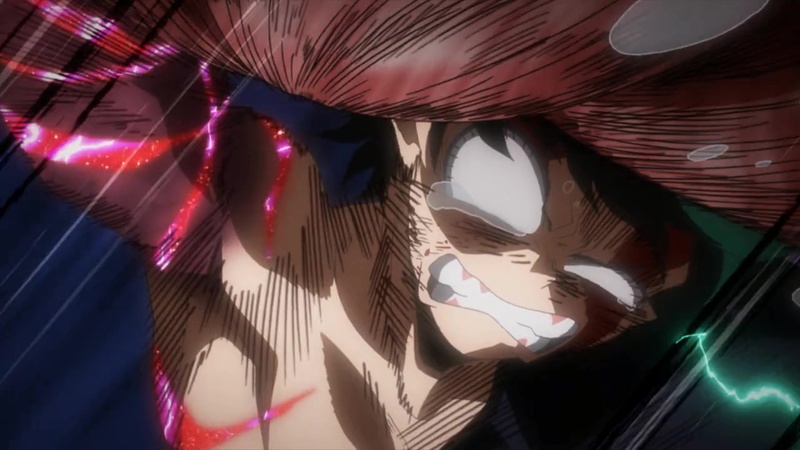 She animated a long portion of the fight starting from the beginning, with Deku and Muscular attempting to overpower each other. I’d like to highlight the high line count and vivid facial expressions which added to the rawness of this clash. 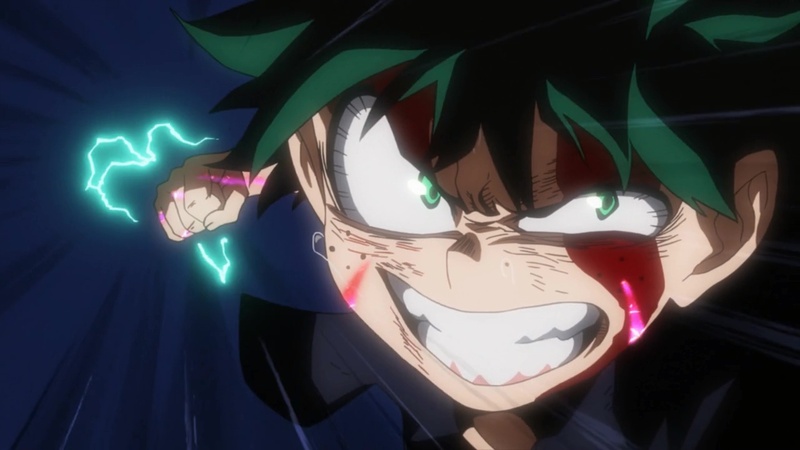 Yuta Kiso, Noragami Aragoto‘s main action animator who also animated this scene on HeroAca‘s first episode, then presumably handled Deku’s last energy outburst and the one million percent finisher, where he inserted some great-looking impact frames. 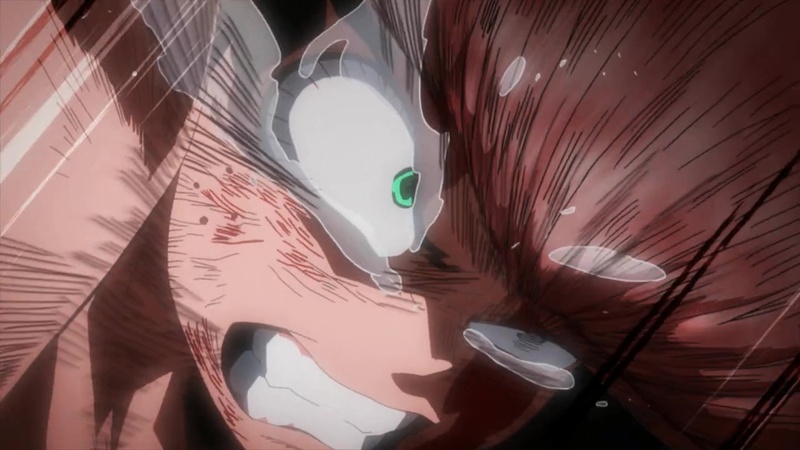 My favorite part of his scene however was the short yet complex rotation cut with debris and smoke rising in the background which shows just how much power Deku is about to unleash. 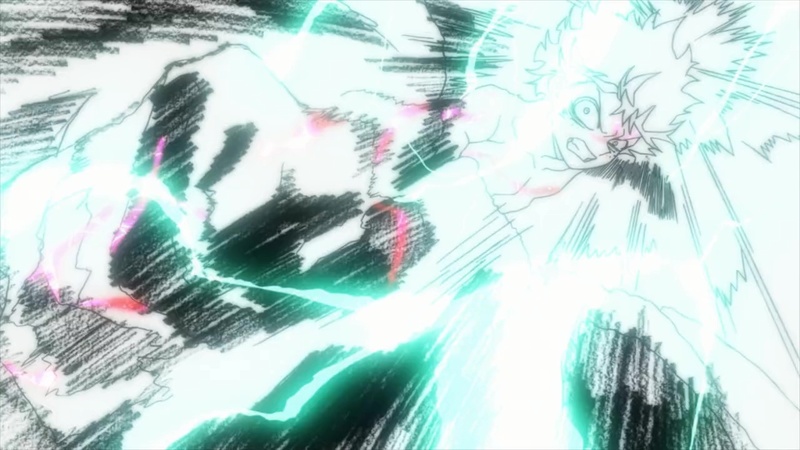 Even when it doesn’t go all out production-wise, HeroAca can still be a (literally) powerful show! Shoji Ikeno is one of my favorite Episode Directors of Gintama. 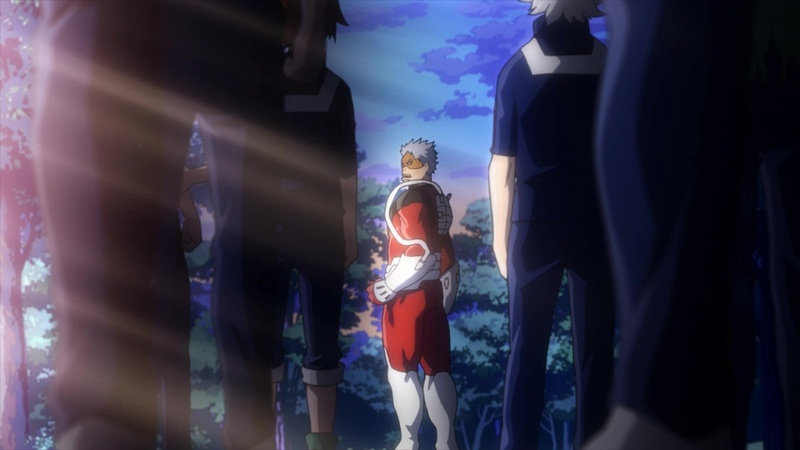 Happy to see him in HeroAca, even more with a great debut. The correction like Umakoshi’s style is one of best part of episode 42 for me. libo is more of an optimist than I am, but the implication was that the project was scrapped. Whether it’ll be rebooted, she’ll move onto something else entirely, or give up on that for now, no one knows – likely not even the people involved at this point.